League of Legends (LoL) is a free-to-play third person Multiplayer Online Battle Arena (MOBA) by Riot Games. It puts players in the role of unseen "summoners" that control a multitude of unique characters called "champions" that each have unique skills and abilities in battle. The game mostly follows a team-based player-versus-player (PvP) format with the goal of destroying the opposing group's "nexus" which are at the heart of a heavily-defended base in the map. There are various other games modes, each with very specific conditions and mechanics that allow for different strategies and playstyles throughout every match. 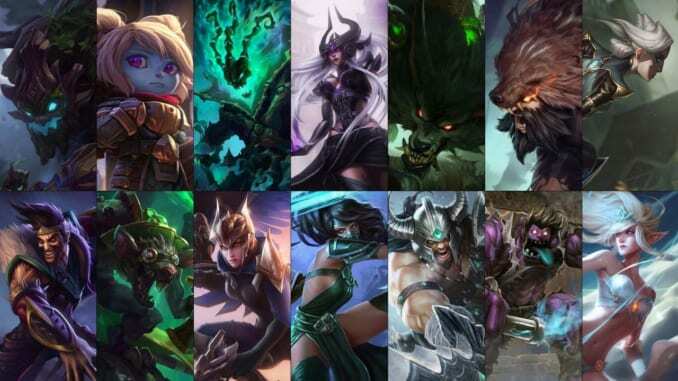 League of Legends (LoL) prioritizes a high level of skill and cooperation among teams, with each character fulfilling very important roles to gain the advantage during matches. Because of this, it is important to know the strengths and weaknesses of each champion to be able to use them effectively as a member of the team, or be able to counter and defeat them when encountered during combat. League of Legends (LoL) has a massive community and competitive scene, with eSports tournaments all over the world being held on a regular basis. Various players have achieved renown through these events and have created a following among other players worldwide who note their playstyles, builds and strategies.